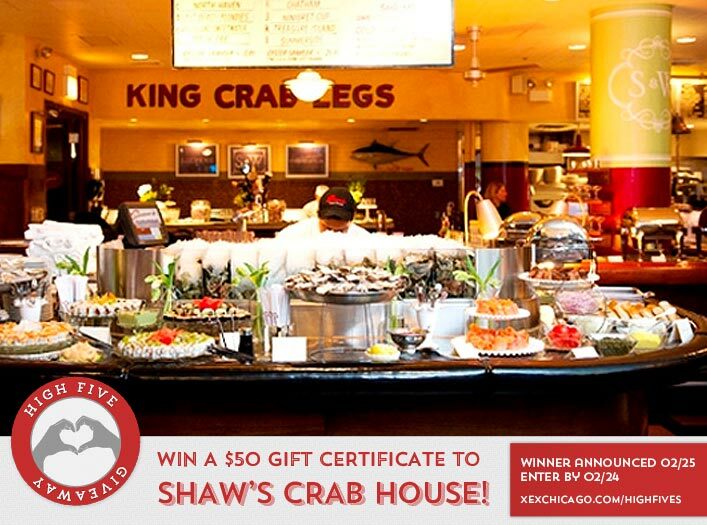 Win a $50 Gift Certificate to Shaw’s Crab House! Congratulations to Stephanie Griffin on winning our 150th High Five Giveaway and thank you to all who entered. For our next High Five Giveaway, we have a $50 gift certificate to Shaw’s Crab House! XEX took part in a wedding event at what hotel in Chicago last Thursday, February 11? Now, just add a comment to this post with the right answer to be eligible to win! The winner will be announced on Thursday, February 25. Entries must be received by midnight on Wednesday, February 24. Good luck!